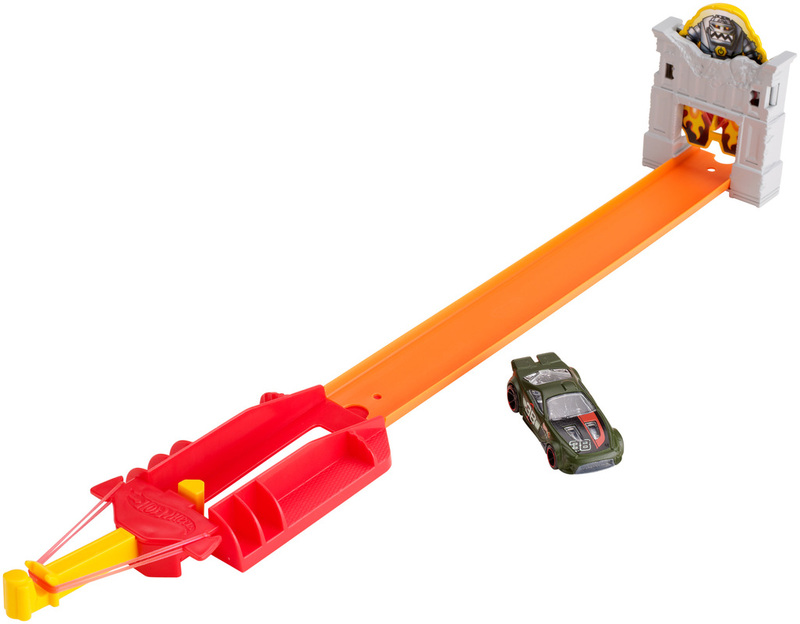 There’s a whole bot to like about the Hot Wheels® Robot Smasher track set! A villainous giant robot has landed at the end of the track and is blocking your path into Hot Wheels® City. Will you be smashed by his robotic legs or do you have the speed needed to send him flying? This play set features a kid-activated launcher and a robot that “fires” off the track when defeated. Connects to other Hot Wheels® track sets (sold separately) for a great way to build the world of play. Includes one Hot Wheels® car. Each sold separately, subject to availability. Not for use with some Hot Wheels® vehicles. Ages 3 and older. *Name subject to change.